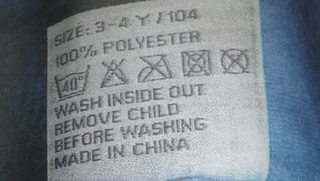 It shows a clothes label with the text "Remove child before washing". 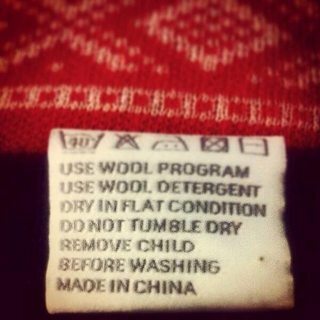 Is this an actual clothes label of an actual commercially available piece of clothing? 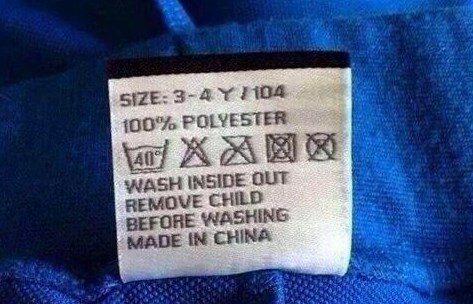 Or is it a joke — either through digital photo editing, or by producing a fake clothes label? It is a joke on behalf of the manufacturer, the Norwegian company "Ugly Children's Clothing"
Hat tip to @adam-phelps for two of those images. Ugly Children’s Clothing sent me two items for review [...] The shirt even includes washing instructions: wash inside out, remove child before washing. Funny, right? Not the answer you're looking for? 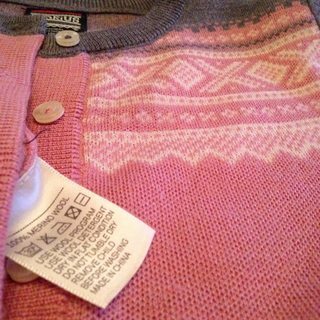 Browse other questions tagged consumer-products photography clothing . Does snapping clothes before placing them in the dryer improve their drying? Is this photograph of Frank Sinatra as a 10 year old real? 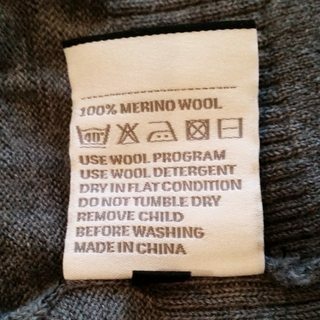 Does wearing new clothes before washing them pose any health risks, like infection or skin irritation?